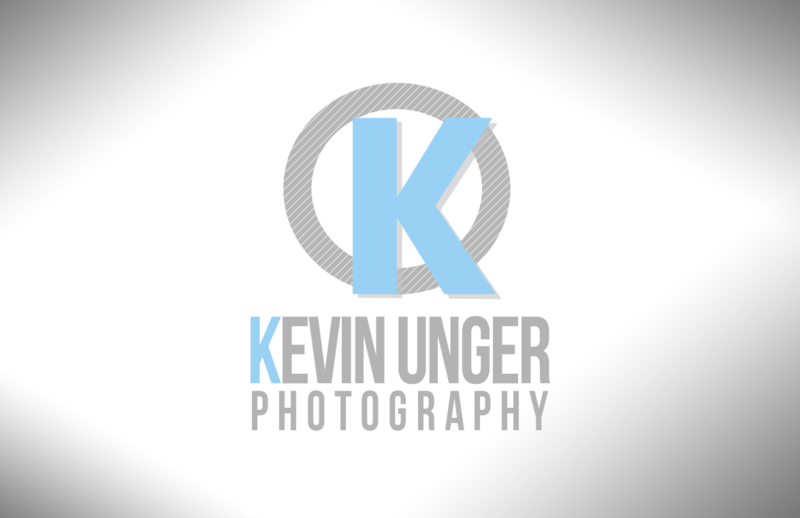 Kevin Unger is a commercial, head shot, and fashion photographer based out of the Niagara Region. He is a super personable guy, so meeting with him to discuss design ideas was a fantastic experience. Seriously, it just felt like getting together with an old friend. After chatting with Kevin, we went to the drawing board. Well, first to the dreaming board, then with a couple of those ideas we created sketches and possible logo ideas. 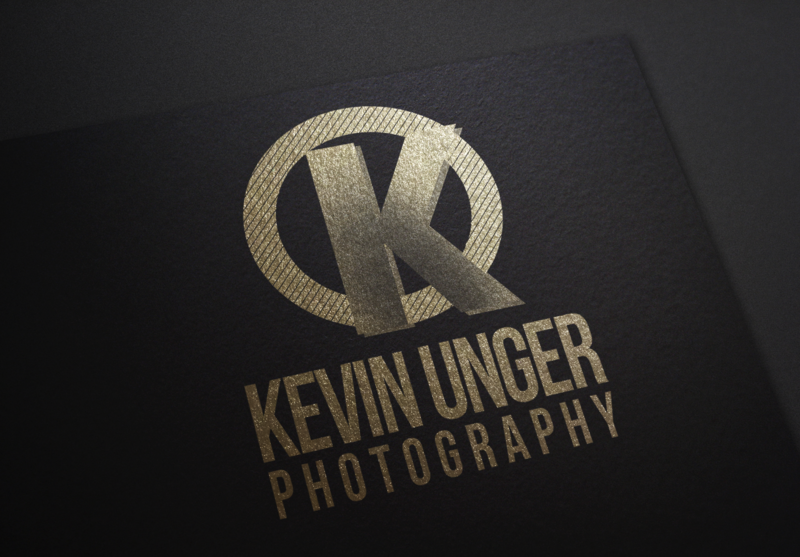 Our initial focus was to create a logo that mirrored Kevin’s creativity. However, after a few sketches and discussion, we soon realized that the photos he took were more than enough to showcase his creativity. The logo Kevin chose reflected a real sense of professionalism. The bold ‘K’ and Bebas Neue font were chosen to mirror the drive he has to create a fantastic experience for his clients. To turn people’s moneymakers into actual moneymakers. The circle behind the ‘K’ remained as an abstract camera lens. 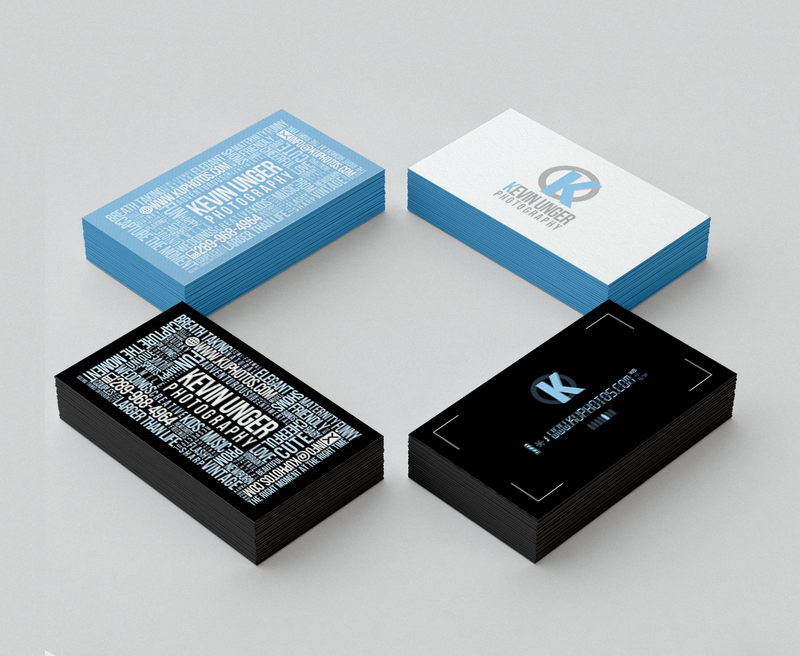 The business card design process was a true collaboration. Kevin already had a design in mind, so it was simply our job to take what was in his head and put it on screen. His idea reflected his versatility as a photographer, telling future clients that he’s up for anything. The back of the business card with the black background was what we brought to the table. We envisioned his business card as a camera, complete with frame lines, a battery meter and with an activated flash. In the end, Kevin kept it simple and chose to just have his logo on the back. So party on the front, simple on the back. His business card is basically a reverse mullet. Party on, Wayne.